The BBC and newspaper groups have held talks with the government over plans for an independent foundation to tackle the “chronic underreporting” of local news, it has been reported. Tony Hall, director general of the corporation, will formally announce the plans for a ‘Local Democracy Foundation’ in a speech this evening, although further details of how it would work and how it would be funded are not set to be unveiled until this summer. Lord Hall, pictured, will say there is “potential to unlock millions from a range of business and institutions who are open to the idea of supporting the foundation” and add that there is a “chronic underreporting of events, issues, politics and crime in local communities”. The newspaper groups involved in the talks, which have also featured big tech companies, have not been revealed. 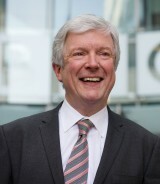 Lord Hall’s proposed foundation would take over the running of the Local Democracy Service from the BBC and the News Media Association. The scheme currently funds 144 local democracy reporters across UK regional newsrooms, with their stories shared across the BBC and participating newspapers. Lord Hall’s announcement comes after Dame Frances Cairncross called for the establishment of a publicly-funded Institute for Public Interest News, which would be independent of the media industry, in her report on the future of news provision in the UK. As reported by HTFP, local publishers had said in a joint submission to the Cairncross Review that more than 1,500 ‘public interest journalists’ were needed to ensure full coverage of all 800 local councils and 400 courts. According to the Press Association, Lord Hall will say: “My goal is to mobilise a powerful coalition behind the creation of a Local Democracy Foundation. The BBC has not so far responded to requests for further information. All very well as long as the traditional bigger publishers aren’t the ones to benefit financially who through their greed, complacency and by treating their once loyal readers with contempt in the belief that no matter how poor the content becomes they’ll always buy the papers they’ve brought about the dire state the industry finds itself in. I’d like to see either new hyper local community publishers established with the backing of this body, or extra resources out in to the already established new community publishers.Giving staff or resources to the traditional publishing groups would be a farce. Why is everyone so determined to prop up the big local publishers who decline is down to bad decisions and shareholder greed. There would be outrage if we’d used public funds to prop up Woolworths or BHS but Reach and JPI seems acceptable. In the defence of local papers. The BBC lifts stories from locals and have done so for as long as I can remember. Paper front page leads often end up the lead story on the local TV BBC news and radio. I know you can’t copyright a story idea, but the BBC is the worst offender. Fine as long as the big companies are excluded. People stopped buying local papers because they became so poor as management stripped them of staff. Why reward these greedy companies at the expense of licence payers who have already given up on them? Hyperspace is correct, governments no longer prop up failing business. Or if you believe statements to shareholders highly successful growing businesses. Surely any money raised would be better off going to setting up a network of hyperlocals., who live and work in their patch. Who know the sttories and the people of the area. And who have a vested interest in making the system work. £40k a year could provide the seed money with encouragement and advice given to find new forms of funding. You could then wrestle away the statutory notice money away from the uncaring news groups. It would encourage large scale entrepreneurialism.